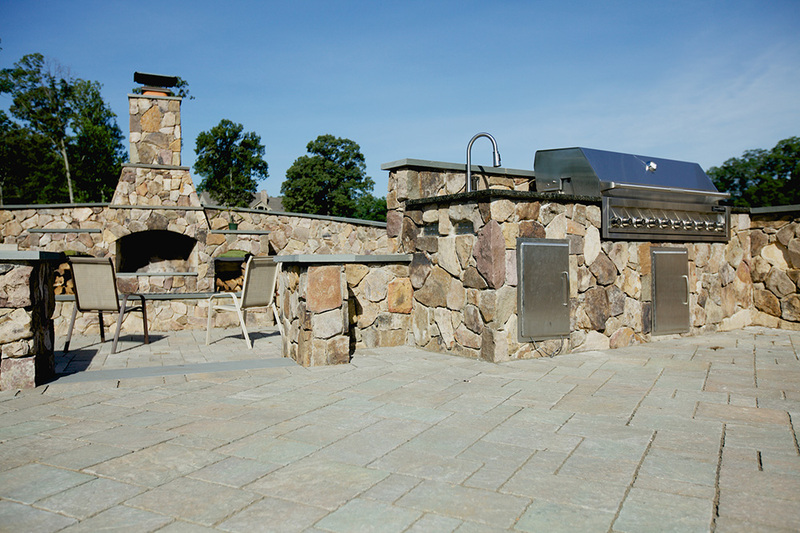 Outdoor fireplace using an 8 foot fireplace kit provided by Allied Concrete. Featuring bluestone mantel and hearth, this center piece was flanked by Pennsylvania field stone veneered walls. Also built into the decorative stone walls is a 48 inch Viking Grill with a stainless steel sink, cabinet doors and drawers.